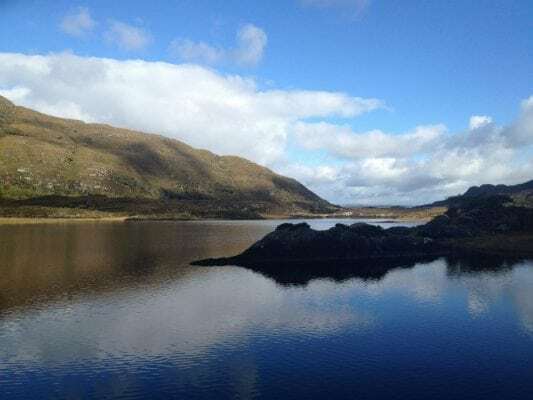 This is a scenic but strenuous 11km (5 hour) loop walk on the Eastern Reeks starting from the Gap Cottage and returning via the Gap of Dunloe road. The majority of the walk itself is moderate with a number of steeper strenuous slopes and terrain with some minor scrambling which requires some mountain experience. There is the option to start for either side of the Gap of Dunloe. There are plenty of other routes to suit beginners to advanced walkers in the area, so please find a route that is right for you or your group. Plan your walk by checking the weather, sunrise sunset times and our hiking checklist on our website https://www.activeme.ie/useful-info/planning-a-trip/. Please remember that you are only as fast as the slowest member of your group! Irish and mountain weather is nothing but unpredictable so please take care and check the forecast before you leave. Don't ever be afraid to call off a walk if the weather is poor. A low level walk can be as good!